Located in the beautiful Blue Ridge Mountains, Kathy Shore Nursery is the area's premier Wholesale Christmas Tree Nursery. Our passion for keeping up with the latest technology and dedication to providing our customers with only the finest North Carolina Christmas trees has earned us a reputation for excellence. If you're seeking a selection of the area's most carefully cultivated trees, handcrafted wreaths, and festive garlands for your family's holiday celebration, you'll be delighted by the assortment of products Kathy Shore Nursery has to offer. 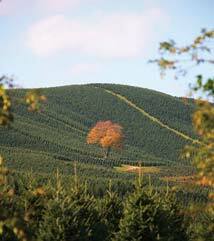 Here at Kathy Shore Nursery we take pride in every step of the process of growing our trees to shipping them to you. 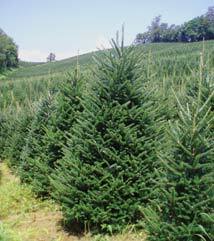 In addition to the famed Fraser Fir, we also grow high quality White Pines and Concolor Christmas Trees, and we're more than happy to palletize your purchase. We're certain that one of these exquisite species will lend itself to your family's unique holiday traditions, providing the perfect backdrop against which you and your loved ones can create lasting memories. At Kathy Shore Nursery, you'll find more than just perfect Christmas Trees. Because we know it's the extra touches that truly make your house feel like a home, Kathy Shore Nursery also offers an assortment of Wholesale Christmas Wreaths and garlands. Our Fraser Fir Wreaths, Mixed Wreaths, and Boxwood Wreaths are a simple, elegant way to decorate your home for the holidays. If you have a mantle or staircase, our Luxury Christmas Garland will fill your home with Christmas cheer. With White Pine, Fraser Fir, Boxwood, and Mixed Garland to choose from, we know you'll find the perfect Christmas accessories for your home here at Kathy Shore Nursery. 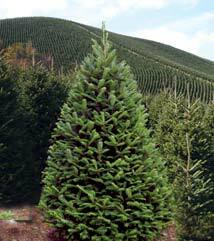 If you're looking for a way to brighten up your next holiday season, visit Kathy Shore's Wholesale Christmas Tree Nursery in Sparta, North Carolina, where you'll find only the highest quality products and most affordable shipping options. Kathy Shore Nursery cultivates each seedling with special care until it grows into the perfect centerpiece for your family's Christmas celebration, and our wreaths and garlands will lend a festive touch to any room in your home. We're so passionate about our industry that we'll even lend our expertise to those interested in putting together their own Christmas tree lots for retail or charitable purposes. 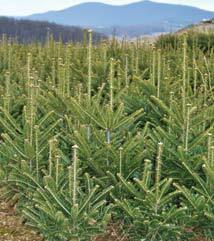 Contact Kathy Shore Nursery today for all your Wholesale Christmas Tree needs! We look forward to making your holidays unforgettable! Kathy Shore Nursery can palletize!